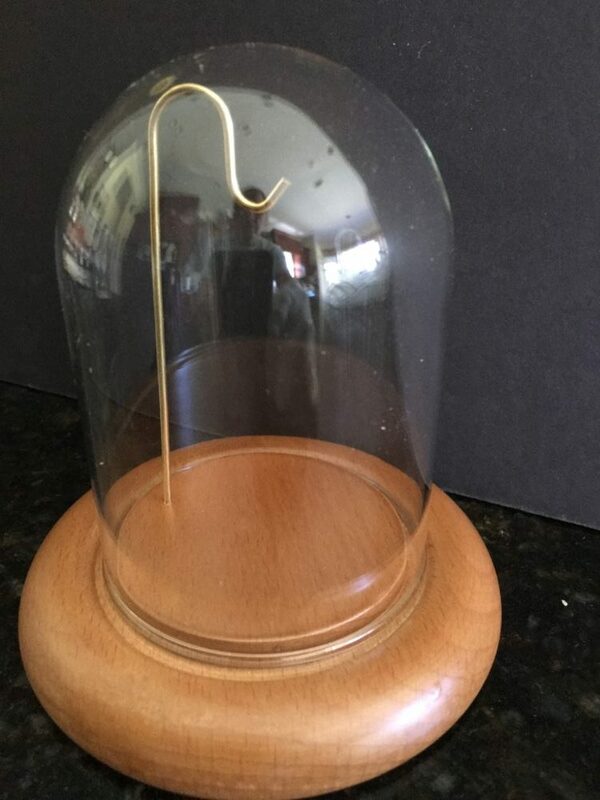 This 3 x 4 H Round Glass Dome with TALL Wire Hanger is one of our most popular pocket watch items. 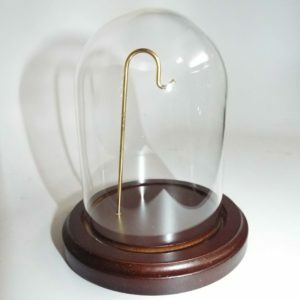 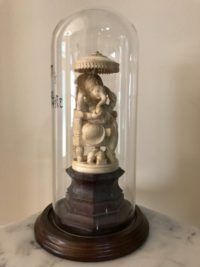 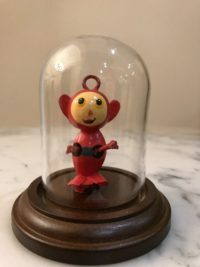 It is available with a wire hanger to hang a pocket watch or small collectible from. 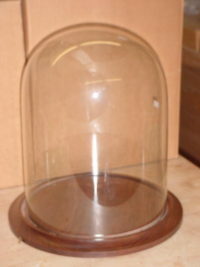 It is available with a walnut finish, oak, or black base. 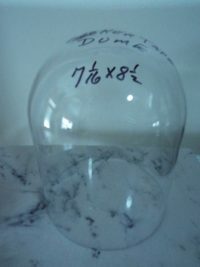 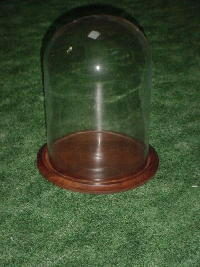 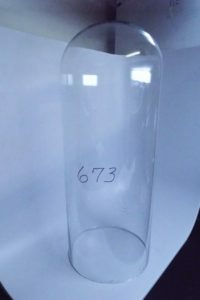 Most new 3 x 4 1/4″ round glass domes have a bead on the bottom. 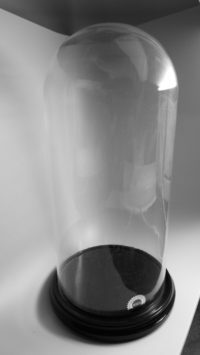 The bead gives greater strength to the glass. 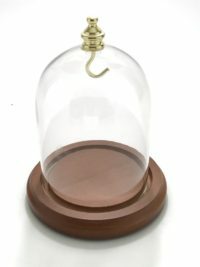 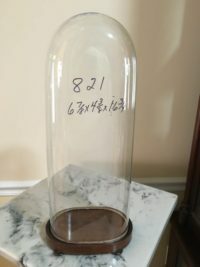 This bead is created by holding the glass dome at the top and rotating it while applying a gas flame near the point of its height. 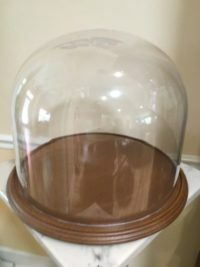 The glass melts at that point with the bottom dropping off and leaving a bead to seal the work. 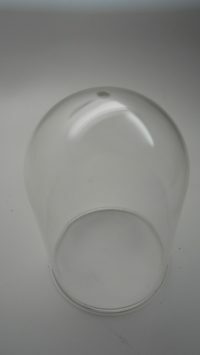 Oval glass domes do not have this bead generally since the flame can not be held in place as the dome rotates.